Over six years ago we started down a journey with an oil company, Resolute Energy Inc. 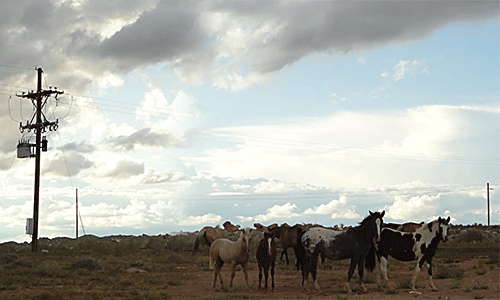 They had purchased the rights to operate three oil fields that had originally been developed starting in the 1950s. So these fields had been in production for some 65 years. Resolute had the vision and the know-how to increase production from these fields with tertiary CO2 flooding. What they lacked was adequate electrical power to put that vision into effect and support the installation of large compressors and water injection pumps. 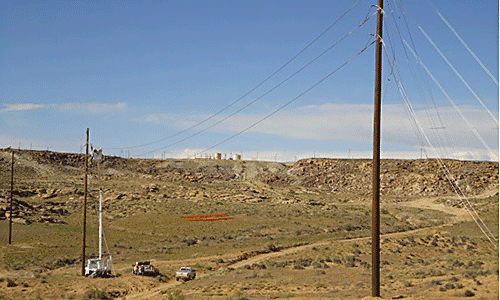 The fields are located at the end of a long 69 kV transmission system so they were contractually load limited by the utility that serves the area, Rocky Mountain Power. Economic realities also made it extremely difficult for Rocky Mountain Power to build the additional infrastructure required to enact Resolute’s expansion plan. 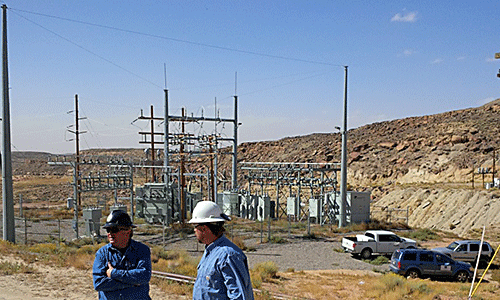 The Resolute power system in 2006 consisted of two 1970s era substations, one 14MVA LTC with over 800,000 tap changes on a single breaker substation and one 12MVA non-LTC, 2 breaker substation. These substations fed a 1958 era 12kv overhead power system of roughly 272 miles that supported roughly 23,000 hp and other minor supporting loads. Our team designed and built new 69kV transmission and 12kV distribution lines using a unique hybrid design to support these fields and their unusual weather conditions. We made upgrades and enhancements to the existing distribution system to increase the reliability of their power system. As a team we created comprehensive electrical models of the entire Resolute power system. These models were used to place over a dozen new 12kV KVAR controlled capacitor banks and thirty three newly installed 12kV circuit reclosers. We also used the models to coordinate between the multiple protection layers on their system to include a cascading fusing /protection scheme ranging from 138kV transmission down to 5kV distribution. During this time we increasingly adopted a partnering philosophy to the point where we became equal parts of consulting engineer and Owner’s advocates, directing the work of subconsultants and contractors. 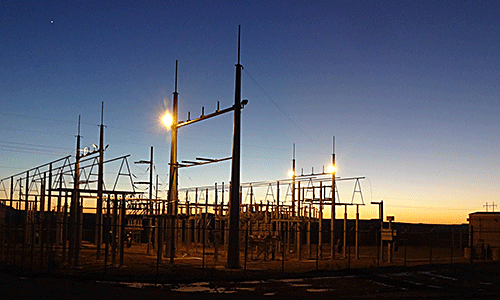 After the expansion, the Resolute power system consists of one 138 /69kV 80 MVA LTC 3 breaker redundant switching substation with room to expanded to a redundant transformer and three 69/12kV, LTC/regulator substations. Two of these substations have 100% redundant breakers, transformers and relays (virtually two substations inside the same fence). This allows Resolute to “hot switch” the distribution system without experiencing power outages. Resolute also have 312 miles of 12 kV overhead distribution lines, of which 113 miles have been rebuilt to the new Resolute new specifications. 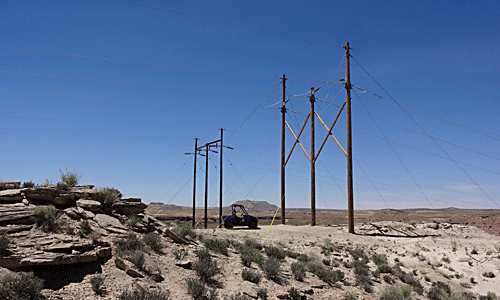 Our team designed and built 23 miles of new Resolute 69kV transmission raptor proof line and two 5.8-6.4 MVAR 69kV transmission capacitor banks. These capacitor banks are auto controlled off the system KVAR demands to stay withing Rocky Mountain Power’s stringent power factor requirements. Thirty-three smart-type circuit breaker re-closers and 14 KVAR controlled’ 12kV pole mounted capacitor banks ranging from 300 to 900 KVARs were installed. Over the course of these projects, our staff more than doubled as did Resolute’s IC & E department. In 2010 a full time field inspector from Crowley Electrical Consulting was brought in by Resolute to keep up with the pace of field work. This inspector gathered field data for the electrical models and directed the work of contractors and linemen who were doing the construction and rebuild projects. Over the course of time we had to expand our contacts within Resolute from a single point of contact to numerous contacts within the IC&E department. The critical part of this evolution involved keeping the same quality of service and communications during this period of growth. 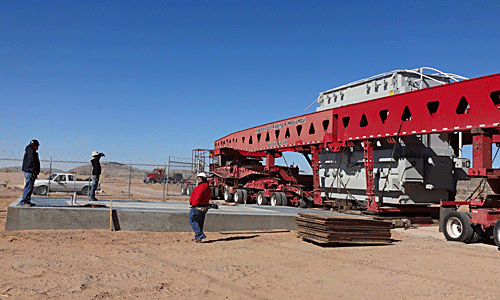 Project Delivery: Our team worked to constantly improve the development, safety, budget, equipment delivery and overall delivery success of projects. Design of the power system and equipment included overall maintenance requirements, long term reliability and costs to operate the system. 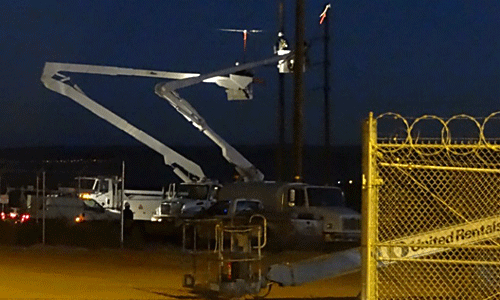 The projects came to fruition earlier this year when our team was finally able to energize Resolute’s new 80 MVA transformer for the first time. 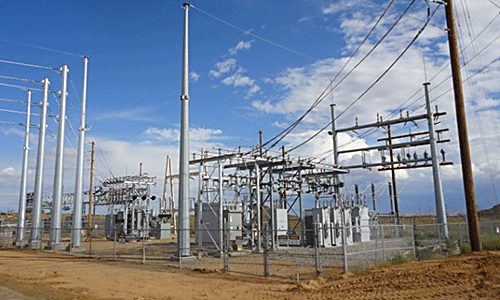 This new feed was taken from Rocky Mountain Power’s newly constructed 138 KV transmission line. This new connection enables Resolute to take power from a single location, ultimately placing all of their power under a single meter. This will allow Resolute to manage both demand and power factor penalties which will decrease their production costs. Resolute still has a list of projects ahead of us to complete the system for all three fields. Some are ready for construction; others have yet to be designed. But this switchover to the new power source was a red letter day for us and for the team of Alliance Consulting Engineers and Resolute’s IC & E department.